You many have noticed the increased attention that Ireland's animation industry has been receiving over the past few years. Thanks to the success of studios such as Cartoon Saloon, Boulder Media and Brown Bag Films on the global stage, Irish animation has been making a big impact both on the big and small screen. Now, the industry is now about to become the subject of a film of its own. 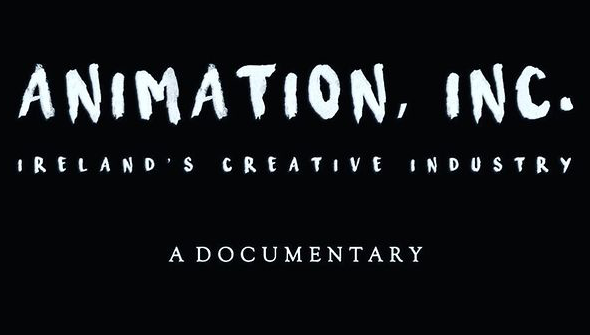 Filmmaker Darren Williams is currently filming the documentary feature Animation Inc which will explore Ireland's contribution to the animation world. It will explore the industry's past and present and will also explore the contribution Irish animators have made to the animation industry worldwide. Many people may not be aware that the Emerald Isle's animation scene didn't spring up overnight and there's much more to the country's contribution to the medium than you might realise. The documentary boasts some very high-profile interviewees that will make this is a must watch for any animation fan- so we hope this will be distributed worldwide. As well as the expected interviews with the likes of Cartoon Saloon and Brown Bag staff, it also features American animation legends Don Bluth, Gary Goldman and Dean DeBlois, and has shot in locations including the US and UK (at Aardman) as well as Ireland itself. Animation Inc is being produced by Dublin's Bruin Motion Pictures. The film is currently in production and does not yet have a release date- but we'll be keeping an eye on this one for sure. See more details in the Official Press Release here.